The Coated Diplomat® is slightly warmer than the Clear Diplomat® due to a coated single layer of 7.5-mil Mylar® film. They’re known for their bright warm tones, resonance, and sustain. 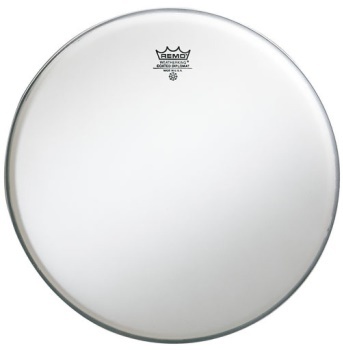 Coated Diplomat® heads are best known for accentuating snare drum response. r® film. They’re known for their bright tones, resonance, and sustain and as resonant (bottom) heads opening up the sound of tom-toms.